World Autism Awareness Day is celebrated on 2 April every year, in order to help share more knowledge on the neurodevelopment disorder, which has affected the lives of many people around the world. The disorder, characterized by impaired social interaction and verbal and non-verbal communication, and by restricted, repetitive or stereotyped behavior, is often said to affect information processing in the brain. The prevalence of autism is about 1-2 per 1,000 children in the United States, and it occurs about four times more often in boys than girls. According to a Centers for Disease Control and Prevention report, 20 per 1,000 children in the Unites States are diagnosed with ASD (Autism Spectrum, which also includes Asperger Syndrome and Pervasive Developmental Disorder) as of 2012. The number of children diagnosed with autism has been increasing dramatically since the 1980s. “World Autism Awareness Day is about more than generating understanding; it is a call to action. I urge all concerned to take part in fostering progress by supporting education programmes, employment opportunities and other measures that help realize our shared vision of a more inclusive world,” UN Secretary-General Ban Ki-moon said in his message for the World Autism Awareness Day 2014. 3. “If I could snap my fingers and be non-autistic, I would not. 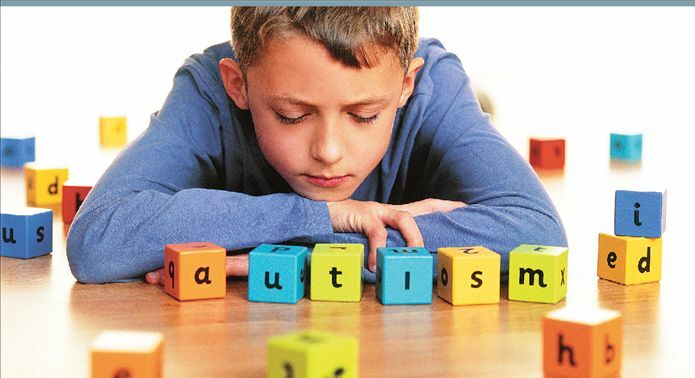 Autism is part of what I am” – Temple Grandin. 10. “I myself am opaque, for some reason. Their eyes cannot see me. Yes, that’s it: The world is autistic with respect to me” -Anne Nesbet, The Cabinet of Earths. My cousin has Asperger Disorder, I have taught and worked with several students in varying school districts with anywhere from severe non-verbal autism to just a light tough of the spectrum. Every single one of them has taught me a lesson, just like any other child (except perhaps more vehemently). Temple Grandin is one of my favorite people to show to my students, whether on the spectrum or not, because of her amazing skill coupled with what she has pushed through to get to where she is. Autism is not something to be feared, it just is.